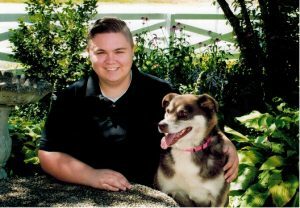 Dr. Manta Loster graduated with honors from the University of Guelph, Canada with a major in Biochemistry and a minor in Biomedical Sciences. He was accepted to the Ontario Veterinary College at Guelph University graduating in 1994. 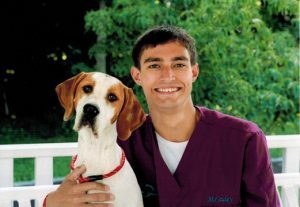 In 2000 he completed an internship at Michigan Veterinary Specialists and completed a residency in Emergency and Critical Care in Louisville in 2004. Dr. Loster holds professional membership in KVMA, AVMA, GLVMA, and AAHA. Dr. Loster and Dr. Ross bought the practice in May, 2008. Dr. Tanya Ross graduated with honors from the University of Guelph with a Bachelor of Science degree in Biological Sciences. She went on to complete a Master of Science in Immunology and Pathology at the University of Guelph. 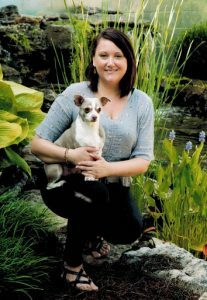 She was then accepted to the Ontario Veterinary College, graduating in 1999. 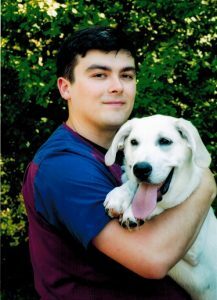 After graduation Dr. Ross practiced as an associate veterinarian for 2 years prior to moving to Kentucky. In June of 2001 she joined PVVC. She and Dr. Loster took over ownership of PVVC in May of 2008. Dr. Ross holds professional membership in several organizations including KVMA, AVMA, GLVMA, AAHA and SFT. Dr. Ross has 2 wonderful children, Marissa and Corbin and they share their home with champion pointer Pebbles and two wonderful kitties, Pookie and Olaf. Dr. Kristen Barnes is a 2014 graduate of St George’s University with clinical rotations at the University of Missouri. She has been traveling to many sites in Kentucky, providing exams, vaccines and routine surgeries for needed areas. Her family time is spent with her mother and her two dogs, Wolfe and Hobie and two cats, Luna and Harry Bailey. Any spare time is spent cooking and reading. 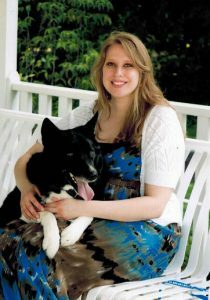 Dr Hannah Kurtz graduated from Auburn University in 2016 for her veterinary program after completing her BA in Mathematics from The College of Wooster. She also studied abroad at the University of Aberdeen in Scotland. Special interest include feline and exotic companion animal medicine. Her home and time is spent with fiance and passions include video games and sewing. She has 2 dogs Neville (the Corgi) and Racer (terrier) along with 3 cats: Echo, Purrl and Ruby. Shares home with a zoo of cats and a pomeranian. Loves being a new “Grams” to adorable baby Hans. Spends time with family, baking (lots of experiments), and orphan kitten rescue. Shares home with 4 cats: Chloe, Kittana, Victor Von Doom and Ronald Bilius Weasley. Loves being with her niece Gracen who has completely stolen her heart. Spends time with family along with her Papillons, Rottie, 2 cats, 4 birds, 9 miniature horses and 2 Hackney Ponies. She shows dogs and loves driving carriage horses. Shares home with Aussie mix Sophie, beagle Piper and kitty Legion. Spends time with family, traveling and loves music. Shares home with parents and sister. 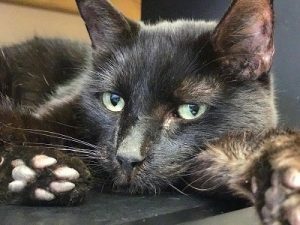 His talents included gymnastics for 13 years. Now he just likes to swim in his back yard pool! Shares home with boyfriend and dogs Cairo and Fenric. Shares home with her fiancé, 2 dogs and 2 cats. Spends time with search and rescue dogs, playing video games, reading and hiking. Spends time with his two brothers and three Golden Doddles. Hobbies include camping, hiking, and watching soccer, esp Louisville City FC and Minecraft. Shares home with husband, Jeff, 12 cats, 6 dogs, 3 horses, 2 goats and a donkey. Enjoys Disney, riding horses, ballet, baking Christmas cookies, and playing with all her animals! Mother to one curly-headed human named Ruby and one four-legged, Italian Greyhound mix names Dwight. Spends time with nature, hiking and biking, gardening, yoga and meditation and writing poetry. Shares home with 2 daughters, 4 dogs, a chinchilla, 2 geckos, a bearded dragon and fish. Spends time outdoors hiking, crafting and loves music. Spends time with her wonderful mother and her boyfriend Gavin along with 3 sweet kitties and a crazy chihuahua. Loves everything cat related, being outdoors, taking road trips and adventures, and reading. Shares her time with her dogs and cats and visits to her brother. 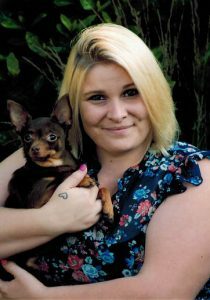 Loves working with her dogs and social networking. A former veterinary technician, knows what Pewee Valley needs and gets it!!!! Spends home with his work family and every dog that walks through the door (has no concept that there are other cats in the world even though he quietly observes them every day). Job duties include hanging with the dogs in the house, roaming “monitoring” the halls, “helping” the doctors with their calls and records and entertaining the attic ghost residents. Fun time is spent sleeping in the sun, sitting on clients laps (his apologies if he misunderstood that you did NOT want him in your lap) and eating.